For many people the level of adherence changes with time and reflects their struggle to manage their health, symptoms, physical ability and social issues. However adherence to oxygen therapy tended to increase with time as the realisation becomes apparent that a little compromise to lifestyle is required in order to reap the full benefits of oxygen therapy. The barriers include the physical difficulty of using the oxygen, self-consciousness and a sense of social stigma, lack of perceived benefit, and fear of side effects from treatment. 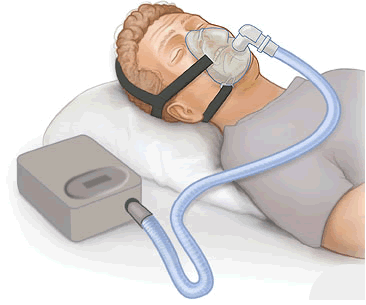 The benefits far outweigh these barriers as supplemental oxygen therapy reduces mortality, improves sleep quality and general comfort, increases exercise tolerance, reduces pulmonary hypertension, normalizes heart rhythm patterns and improves cognitive brain function such as memory, intelligence, motor skills and perceptual motor ability. The pattern of oxygen use adopted by any individual reflects their personal experiences and values and their efforts to optimally manage their lives. Four main areas affect adherence: functional management, health management, social management, and symptom management. This is juggling the difficulty caused by weight and bulk, the perception that it hinders performing certain tasks with the benefit of improved fitness, strength, stamina and increased ability to perform these tasks. Individuals voiced concerns that they feared nasal dryness, nosebleeds and light-headedness. That they thought they may become addicted to it or that their lungs would become weakened. These fears diminished as a result of personal experience. A realisation that the health benefits outweighed these fears and experience via an increase in use during episodes or on advice from a doctor. Social concerns relating to oxygen use, including embarrassment, self-consciousness, fear of burdening or inconveniencing others, concerns about appearing weak or sick, and a sense of shame, both about prior smoking and accepting dependence on a substance such as oxygen. The realisation that in most cases oxygen therapy helped to alleviate symptoms which resulted in a greater adherence to the treatment. Every participant in the study described some sense of compromise in the decisions they made regarding their use of oxygen. For most, the compromises were viewed as minimal or had been minimized by time and experience. In the four areas most patients realise that any uncertainties, fears or slight inconveniences in their lives were all far-outweighed by the benefits from oxygen therapy and adapted their lifestyles over time and through experiences and research, which generally resulted in an increased adherence to the treatment. Needing medical oxygen in your life is not the end of getting around, travel, seeing the world or having fantastic vacations to the city breaks in Europe, long haul to live the dream (for 2 weeks at least) in the U. S of A. Wherever you decide to fly to and visit all you need is careful planning and Oxygen Worldwide. Travelling as an oxygen user dependent on a source of oxygen, means that you will probably have lots of questions when thinking about going abroad – or you may never thought you could. Luckily, Oxygen Worldwide can help, advise and guide you to all those answers when it comes to travelling with oxygen, who deal with organising travel with oxygen 365 days of the year. Below is a short introduction to our company, the team and what we do and our speciality is due to our knowledge, success and partnership relationships with a network of suppliers across the globe. Oxygen Worldwide is a company under Dutch management established in 1993. Oxygen Worldwide is based in Spain and operates internationally. Our objective is to make travel for those who need oxygen as carefree as possible. All Oxygen Worldwide employees are multilingual. Our customer service staff speaks four languages. Oxygen Worldwide arranges oxygen delivery worldwide for oxygen users on holiday or staying abroad for a longer period of time, also in case of a tour through several countries. 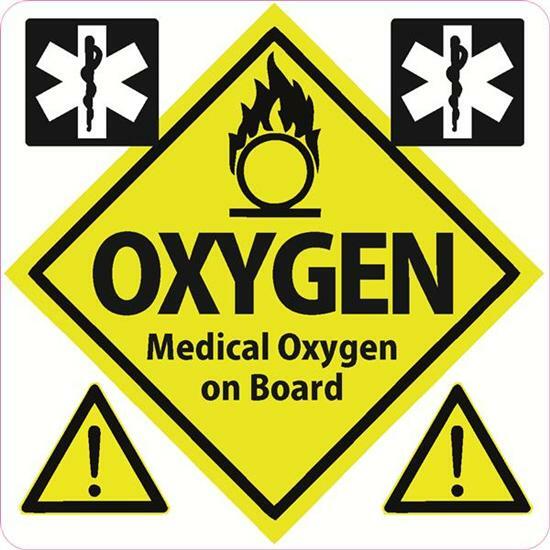 Oxygen Worldwide arranges oxygen for individual users, insurance agencies, emergency centres and oxygen suppliers in your home country. Oxygen Worldwide delivers liquid oxygen (LOX), cylinders and concentrators. Oxygen Worldwide has an international network of oxygen suppliers and works with associates worldwide. One day we will provide our clients with some 'grains' opposed to a POC to travel with. Using specially synthesized crystalline materials, scientists from the University of Southern Denmark have created a substance that is able to absorb and store oxygen in such high concentrations that just one bucketful is enough to remove all of the oxygen in a room. The substance is also able to release the stored oxygen in a controlled manner when it is needed, so just a few grains could replace the need for divers to carry bulky scuba tanks. The key component of the new material is the element cobalt, which is bound in a specially designed organic molecule. In standard form – and depending on the available oxygen content, the ambient temperature, and the barometric pressure – the absorption of oxygen by the material from its surroundings may take anything from seconds to days. Varying the constituent structure of the material can also bind and release oxygen at different rates. This means it could be used to regulate oxygen supply in fuel cells or create devices like face masks that use layers of the material to provide pure oxygen to a person directly from the air, without the need of other equipment. Even more interestingly, the material may also be configured in a device that could absorb oxygen directly from water and allow a diver to stay submerged for long periods of time, without the need for bulky air tanks. Using x-ray diffraction techniques to peer inside the atomic arrangement of the material when it had been filled with oxygen, the scientists realized that once the oxygen has been absorbed it can be stored in the material until it is released by heating the material gently or subjecting it to a vacuum. There’s no word as yet on any possible commercial production or public availability of the material. The research was published in the journal of the Royal Society of Chemistry, Chemical Science. Source: University of Southern Denmark. Oxygen was known to be the only element that supports respiration as early as 1800 and was first used in the medical field in 1810. However, it took about 150 years for the gas to be used throughout medicine. In the early to mid 20th century oxygen therapy became rational and scientific, and today modern medicine could not be practiced without the support that oxygen supplies. This is definitely a device which will make your life easier. The Inogen One G2 is a portable oxygen concentrator that provides up to 5 litres per minute on-demand oxygen. This is possible because of its up to 8 hours of battery life (with double battery installed & on setting 1). It restores your freedom. You are able to use it in a car and on most airlines. So take it away for a weekend trip or long journey you’d never thought you would be able to make. You only go home when you want, not because you’re running out of oxygen. It’s sound level is as a normal conversation (based on setting 2) and is lower than 37 dbA. It sits discreetly at your feet, next to your bed or behind a chair. It is also light enough (3.2 Kg.) to carry over your shoulder. Day or night, all your oxygen needs can be met with this Portable Oxygen Concentrator. Furthermore is it very easy to operate with just a couple of buttons. 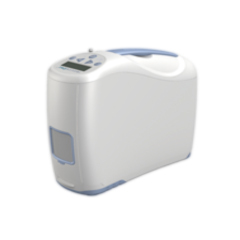 Thinking of buying a portable oxygen concentrator? As you all know, OxygenWorldwide team is packed with all the information needed and guidance on aspects of oxygen. I know in this current climate that everyone is looking to save money where they can which is why we have opened our oxygen doors to selling portable oxygen concentrators. Over the last few months we have been inundated with patients and family members wanting to purchase one and the internet can be so overwhelming plus with this health purchase you want to be certain the purchase is safe, certified and will last. There are so many portable concentrators on the market to date, and not every unit will suite each individual patients needs so we have listed our top suitable products. If you are thinking of purchasing a portable oxygen concentrator make sure you call OxygenWorldwide first, our specialist team are available 24/7 to answer any questions or queries that you may have or view our products here. small island has its own definite and beguiling character. Because of this historic and legendary background it is no surprise that Cyprus has developed a character which is quite unique. Q. Can you take oxygen when travelling on a plane?